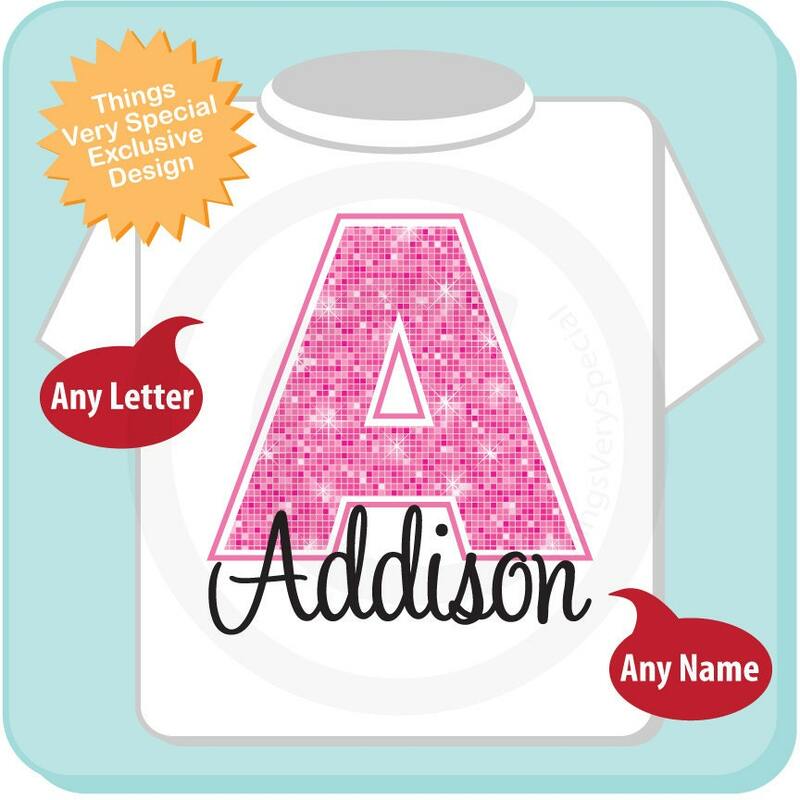 This Tee Shirt or Infant Onesie, can be personalized with any name or with any nickname along with the Big Pink Bling Initial. 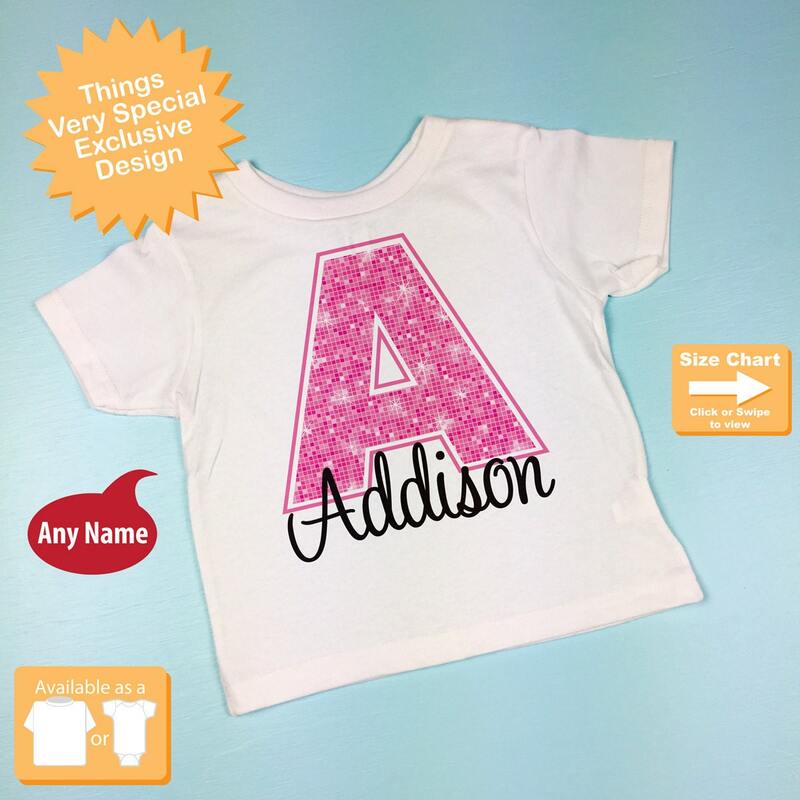 If your little girl just loves pink, this design is perfect for her. 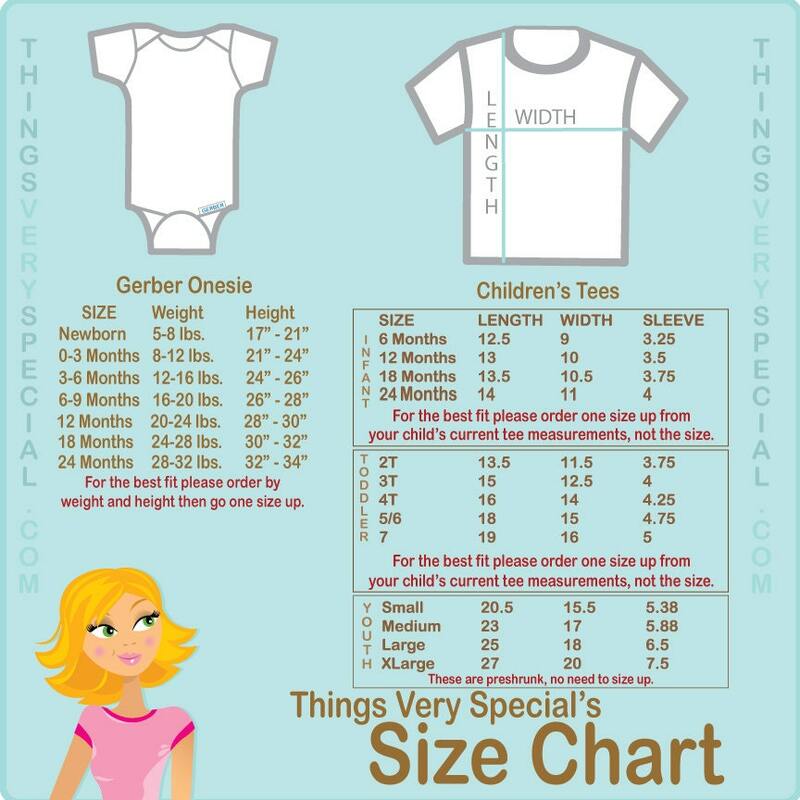 The bling is in the way this design is printed, there are no additional rhinestones or glitter as those would be a little dangerous for a child of this age.